K-Plug (KR6A-10): A special metal spark plug for Maruti K-series engines, promises excellent functionality, longer life and better ignitability. This product claims double the life in comparison to normal spark plugs. This plug only approved and OE fitted in all Maruti K series engines. MR7C-9N : This plug is OE fitted in New Honda Activa/HMSI which is contributed 11% performance increase in comparison to old models. This plug offers high ignitibility technology to spark plugs, which leads lower fuel consumption, faster start and greater acceleration. This plug is especially developed in Japan with benefits of spark erosion & oxidation resistance. G-Power Spark Plug- Has Precious platinum material used at the tip of centre electrode of diameter- 0.8 mm. The uniquely shaper ground electrode & platinum alloy center electrode reduced wear rate of the electrode than conventional plug gives long & better life. IRIDIUM Spark Plug- Uses very precious Iridium metal at the tip of centre electrode of diameter 0.6mm. and has a thermo edge design for central electrode. These features give anti carbon fouling performance, smoothest running, and excellent acceleration with increased mileage. 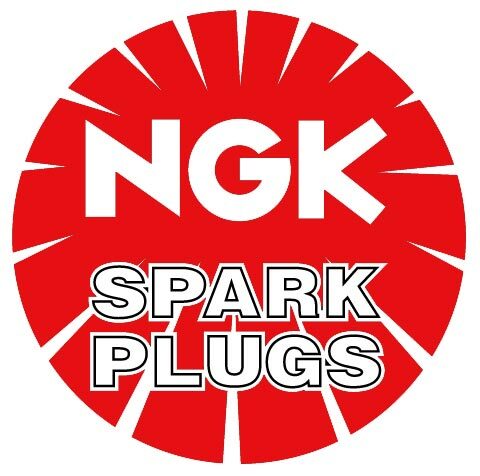 The NGK spark plugs stand for easier starting and greater ignitability. Some of the most important features are excellent acceleration, good mileage, good anti fouling performance, long and better life of electrodes that makes for longer life expectancy, double change interval, improved oxidation reduction and spark erosion resistance and low fuel consumption. These features makes NGK Spark Plugs to become the major supplier to all the big OEMs in India like Hero, Honda, Maruti, Suzuki, Yamaha, Tata, Ford, etc. Ford’s ECOnetic Technology: Here’s why we need it!